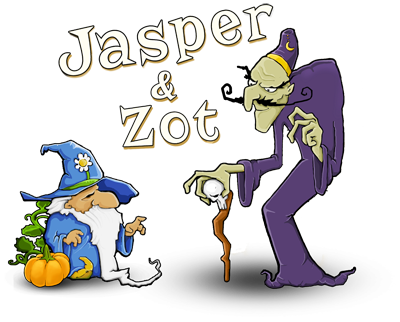 Jasper and Zot is a single player game about two old, feuding wizards. 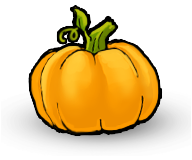 The White Mage Jasper is quite a famous gardener and his pumpkins always win the blue ribbon at the local faire. 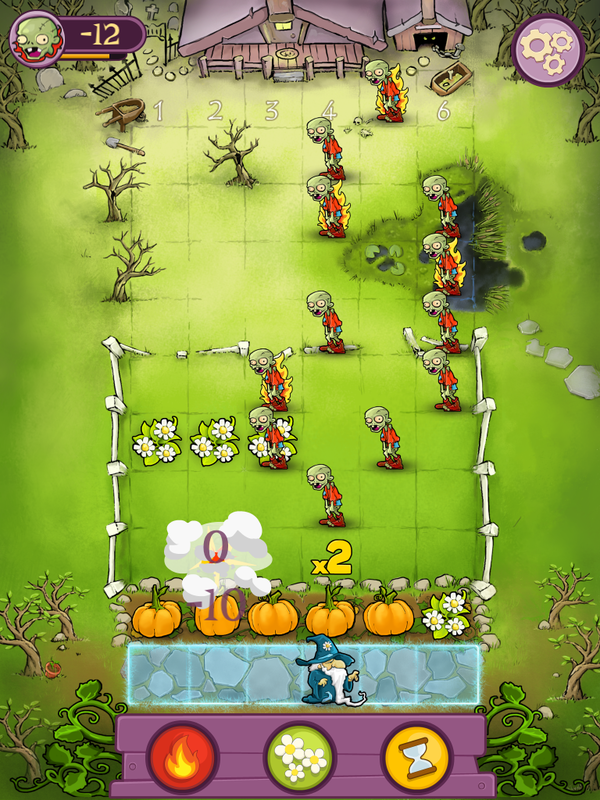 His long-time nemesis and neighbour Zot the Necromancer, has never been good at growing living things and has instead summoned an army of the undead to smash all of Jasper’s prize-winning pumpkins. 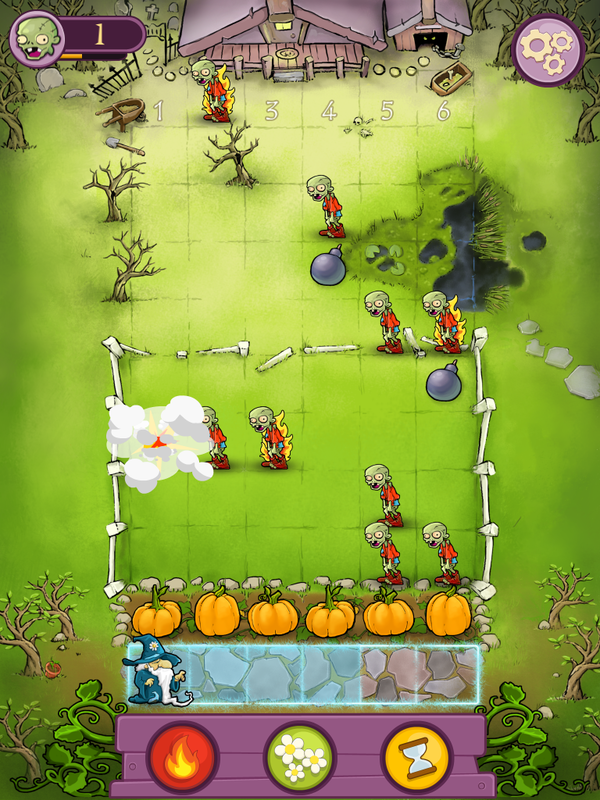 Help Jasper defend his pumpkins by turning Zot’s shambling minions into delicate white flowers and then burning them to ash! 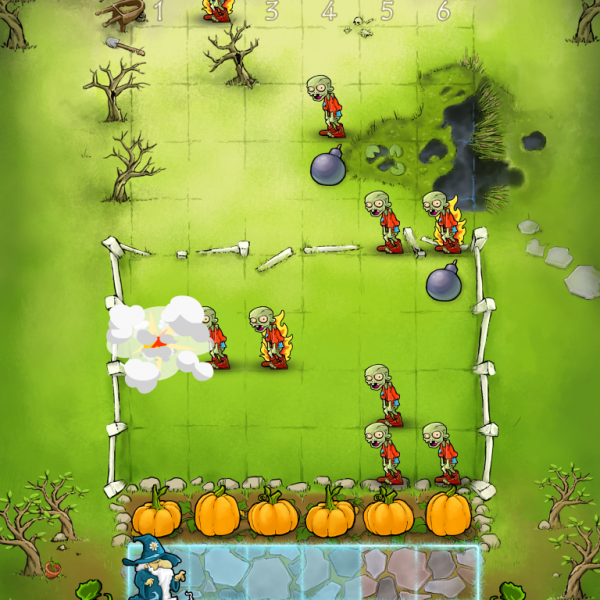 Jasper and Zot gameplay borrows heavily from classic arcade games such as Space Invaders and Puyo Pop. 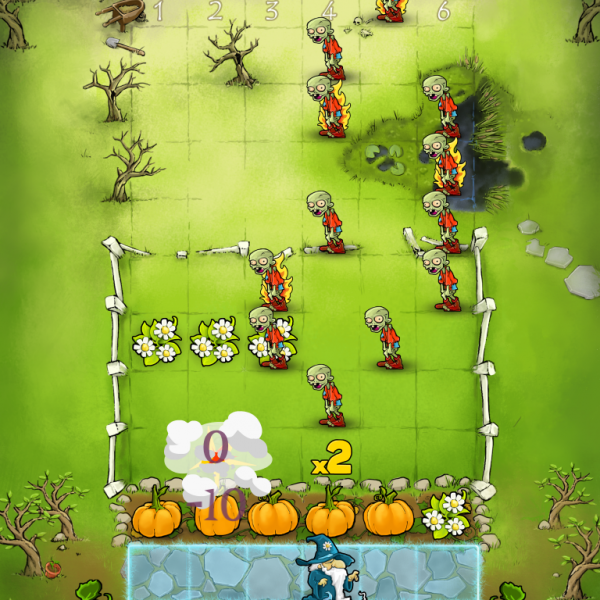 The player moves Jasper horizontally along the garden path while casting spells to either transform the approaching zombies into flowers or ignite those flowers and any nearby zombies with magical fire. 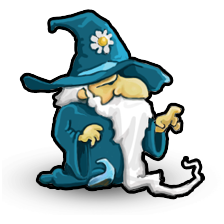 The more you destroy with a single spell, the more points you earn. 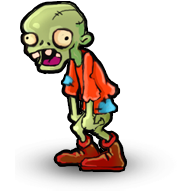 If you can survive two waves of Zot’s undead army, you’ll win the game and earn a score based on how well you did. 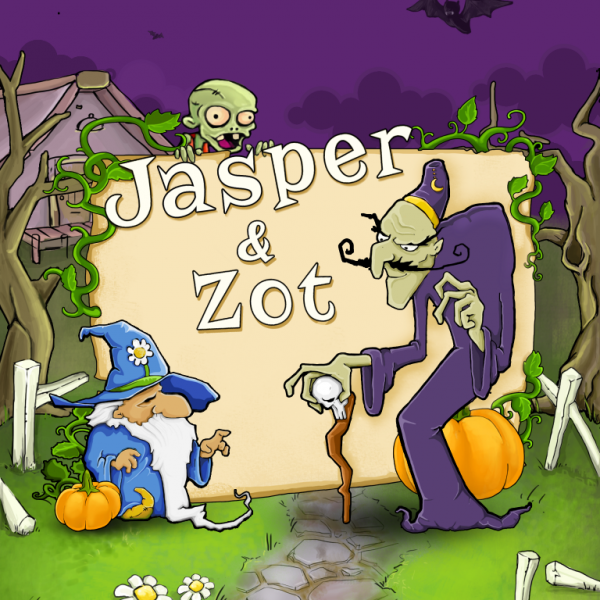 Jasper and Zot is based on print & play boardgame designed by Nick Hayes. 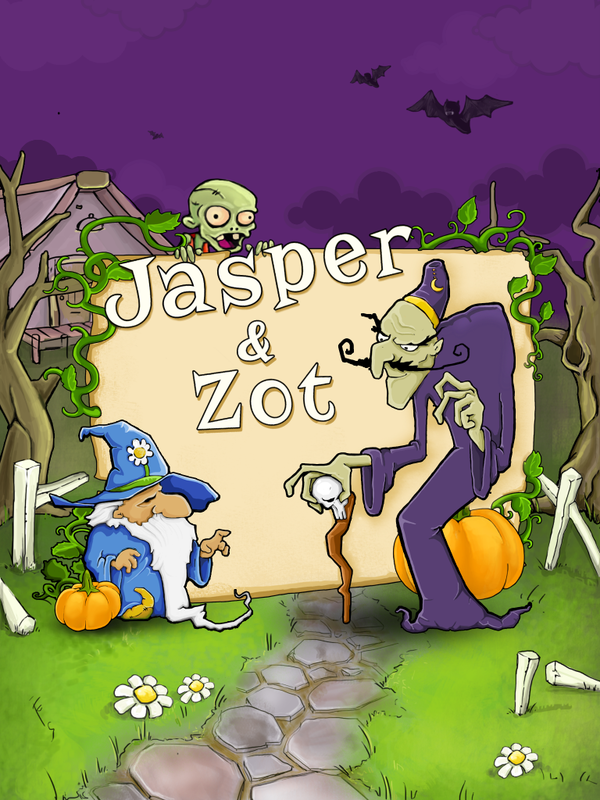 You can find it on Jasper and Zot BGG page. iOS Game Center is supported so you can use Leaderboards to check your best score and send challenge your friends to beat it.